According to the article, in just one month last year the office of the Minister for Agriculture spent $12,565.72 on their 11 Blackberries and 2 iPads. Thats around $1,000 per device per month! Granted, Blackberries are stupidly expensive to run – but this is just plain ridiculous. There is a plethora of business mobile cap plans available. At the top end, Telstra’s most expensive business cap plan of $129 per month offers unlimited calls and 3GB of data. So what is the Department of Agriculture doing? How do you ring up almost $1,000 worth of usage per handset in a single month? How can this happen? The Minister would probably counter that the nature of his portfolio necessitates increased use of mobiles but let me repeat, if they were on the right plan they could have called and emailed anyone in Australia as much as they wanted for no more than $129 per month. Its just beyond me. Who sets up these stupid mobile plans for our elected representatives? Which public service department is responsible for choosing plans and negotiating mobile Telco contracts. Do they not have access to the same internet that I have? Have they not heard of more efficient plans? Just imagine what is being wasted each year on stupid mobile plans for our 226 elected representatives and their staff. $Millions? $10s of millions? Not that long ago, people used to get sacked for racking up expensive long distance calls on their desk phones. Today though, this sort of cost control and oversight does not seem to apply to our elected officials and their smart phones. I have seen this stupid waste in the corporate world too – thankfully not quite to this scale. It starts slowly with just one or two smart phones for the CEO and CFO and then quickly turns into a “fleet” as senior executives see the corporate mobile as a status symbol much like the corporate car was in the 1980s. Thousands per month spent on an increasing number of smart phones – sucking evermore precious resources away from the rest of the company. All because some executives like to stroke their egos and carry the latest device – but would rather not pay for it out of their own pocket. I have seen executives talking for hours per day on their bluetooth connected corporate smart phone racking up huge bills while sitting at their desk next to a perfectly good desk phone that rarely gets used. I have seen others abuse the privilege and not bother with a home phone or home internet connection. Why bother when the company will pay? Indeed. I have seen private calls to satellite phones costing over $100 each call made on corporate mobiles. And don’t get me started on the ripoff that is Global Roaming. Now it seems our politicians and their staff have caught this madness. Are we that much more efficient because our politicians and staff can be contacted 24/7 on their smart phones? Well probably not given even the highly communicative Minister of Agriculture does not advertise his mobile number on his web page. Seems you have to wait for him to call you. Does the minister not care how he is spending taxpayers money? Surely he has to sign off the mobile bills for his department each month. Did he not notice the bills he and his staff were running up? Did he not query why the bills were so large? Does he not realise that his department’s mobile bill was more expensive than what almost two extra staffers would have cost? 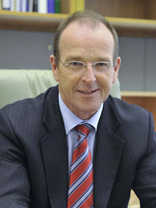 The Minister responsible for this debacle is Senator the Honorable Joe Ludwig from Queensland. His Email address is joe.ludwig@maff.gov.au. Why don’t you email him and ask him what he is doing to save taxpayer dollars so there is more to spend on his state’s reconstruction after the recent natural disasters? At least it will give him something to read on his Blackberry.